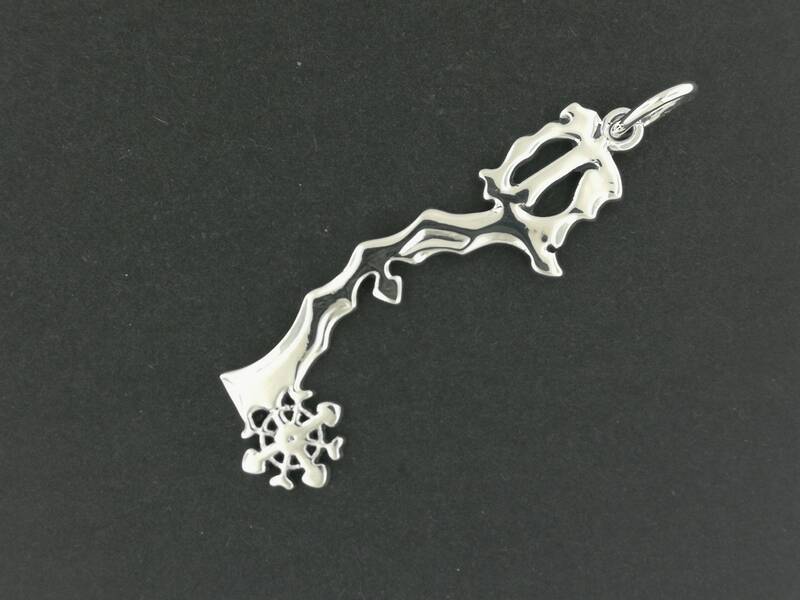 This is a handmade pendant based on the Diamond Dust Keyblade based on the hit video game Kingdom Hearts, of which I'm a fan of. 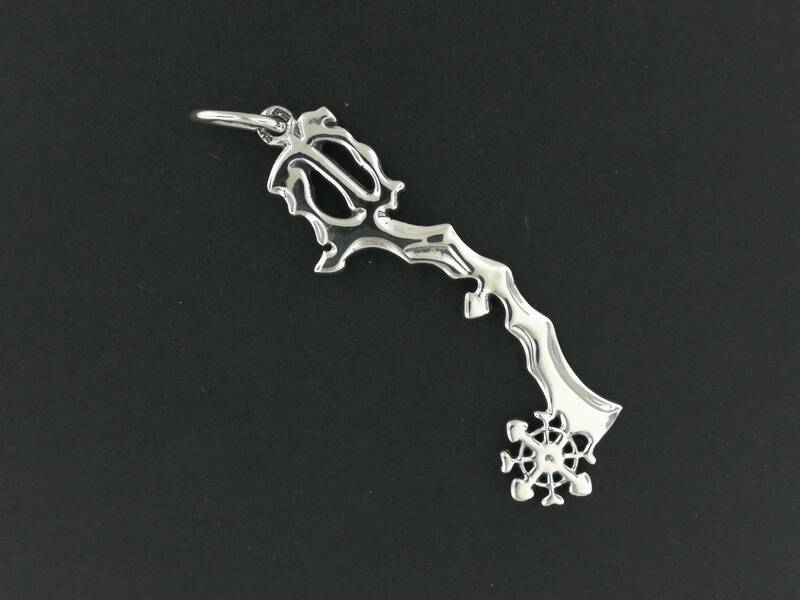 Made in .925 sterling silver, the pendant measures 6cm high plus the loop and 2cm wide. The jump ring is a nice size for any size chain or cord. The Keyblade's name is based on the traditional attack of the Final Fantasy summon, Shiva. The Diamond Dust's appearance varies depending on its upgrades, most of which are only seen in Kingdom Hearts Union χ.